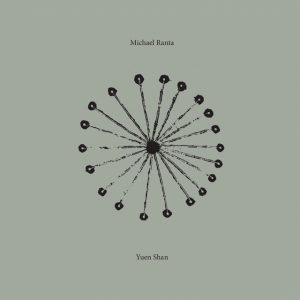 16 track composition for pre-recorded sounds and live percussion performed by Michael Ranta. (entirely different work from the Yuen Shan CD released in 2005). All material previously unreleased. Yuen Shan (Round Mountain in chinese) was conceived in 1972 and finalised in 2014. It’s a major work in Ranta’s oeuvre (his first solo release in almost 25 years), highly personal and spiritual. A musical cosmogony in 4 cycles based on different levels of ancient asian spiritual principles. …All returns to the origin, to the silence, to the void. All things arise and disappear.